Elegant tango and Cocktail dress inspired by the iconic dress worn by Audrey Hepburn in “Breakfast at tiffany’s”. 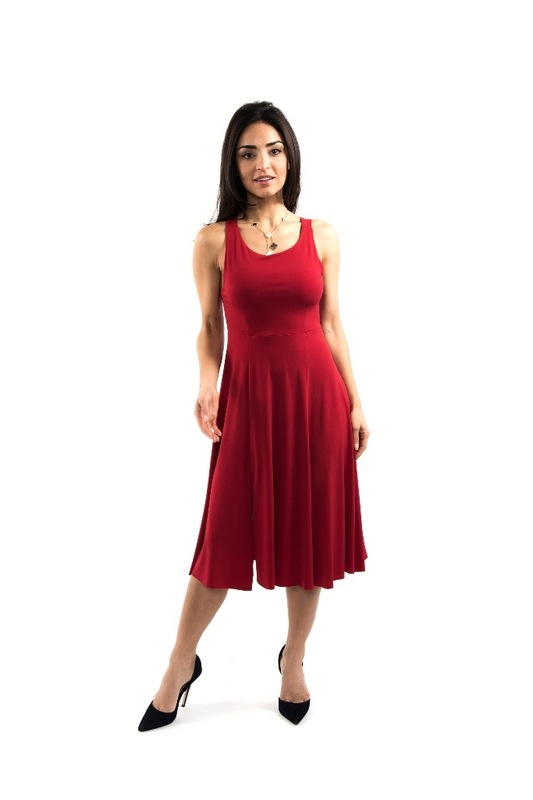 This dress has an imperial waistline and a A cut skirt that gives it a very easy fit. This style is part of our Easy Fit range as the high waist-line and A-line skirt make it ideal for all body shapes and expecially for apple and pear shapes. 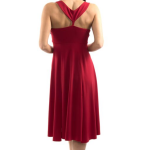 Bear in mind thought that this dress can only be worn with a strapless/bandeaux bra or without a bra. Colour Options: This dress can be made in colours other than red and black upon request, this will not incur custom made charges but the dress will be non returble. Email us (info@thelondontangoboutique.com) to enquire about addtional colours options.